The lazy days of summer. They are wonderful aren’t they? It’s light out earlier in the morning AND later in the evening, and still, I realize things are getting scratched off my to-do list more slowly. I’ve had some pretty exciting things happen though, during July and August. I’ve plastered them all over Instagram, but I decided it was important to memorialize them here. 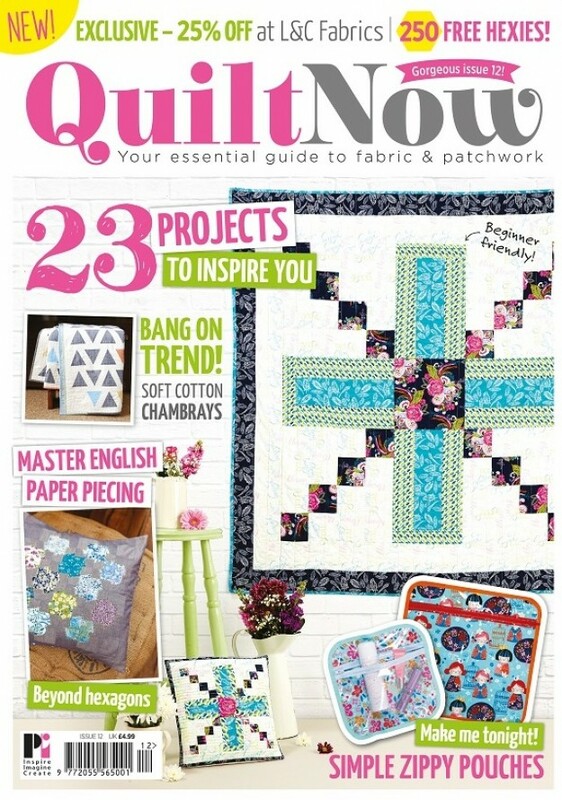 My first published quilt pattern was published in the British magazine Quilt Now, in it’s June 2015 issue, number 12. 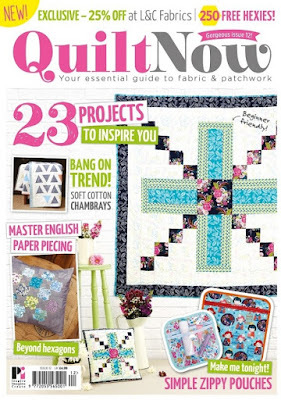 The quilt is an oversized version of a single block. I absolutely love the look of bold, large scale designs like this. It’s made with Petal & Plume fabrics, by designer Bari J. of Art Gallery Fabrics. I also made a matching pillow, and called the two projects a “nap set”. I didn’t find a copy of the magazine until around July 1st here in the US. It was a wonderful, fun day for me. As if that wasn’t enough, Michele Muska invited my quilt guild (Southern CT MQG) to come to the Simplicity creative offices in NYC in early August. I took a day off from work and spent a gorgeous sunny Wenesday travelling to the city to meet 6 of my fellow guild members for the day. Michele took us around the office, and introduced us to lots of the people who work in the pattern making part of the business. It was so much fun to hear about what each person did, how the process worked, and get to see garments actually being made up. 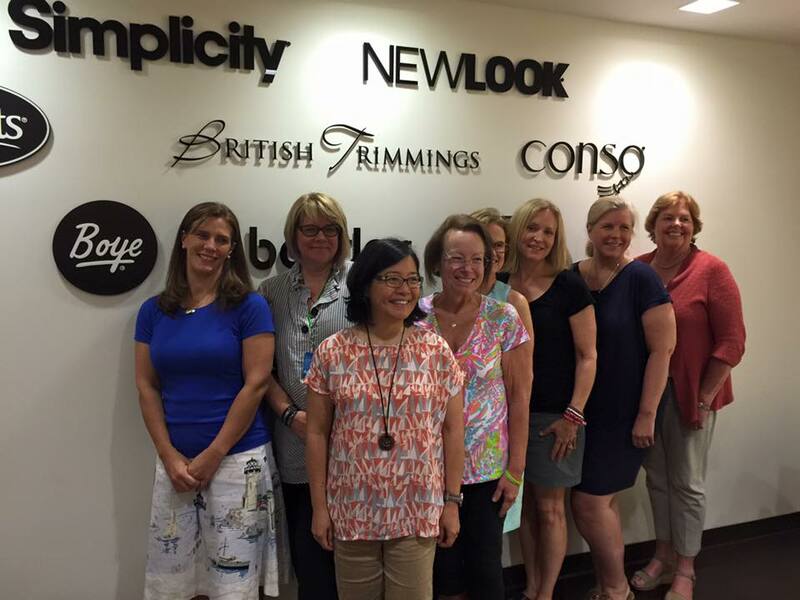 Then we met with some of the folks from other areas of the business to talk social media, sewing tools, and the future of quilting. It was fantastic. 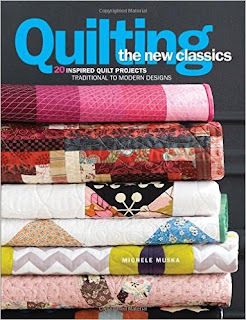 Michele lives in CT and had done a wonderful trunk show for our guild in March with the quilts from her book Quilting the New Classics. The quilts were just amazing in person and it was a treat to see them all at once. The book is beautiful, and full of color and inspiration. August and September will be filled with making t-shirt quilts for customers, a Kate Spain/Simplicity mini-tool challenge, and my swap gift for my partner at Glamp Stitch-a-lot. I’d better get back to work!